$200 off a full roof or siding replacement. Must mention when first contacting the office. Minimum of 15 sq. We offer free transportation for Illinois medicaid patients or recipients. We also provide transportation for Meridian and Molina recipients. FREE appetizer with the purchase of two entrees. Valid only on appetizers up to $6.95. Buy or sell with me, use my client truck for free! Amy Hank, Century 21 Advantage Real Estate, Inc.
$5 off your first groom. Free 5 year labor warranty with purchase of a new Furnace, air handler or air conditioner. Archway Cooling & Heating, Inc.
10% off intown orders only. 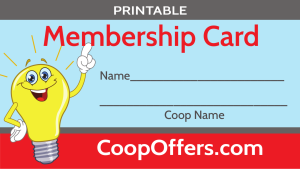 Free change counter available for Coop Connections Card holders. Take 10% off any upholstery. Not valid on Street Rods and with any other offers.